The health and nutrition industry has been all agog for some years now about chia seeds, one of the so-called superfoods. But can they really reverse type 2 diabetes? Are they as healthy as they are hyped up to be? Do they have any negative side-effects? How should you eat them? Chia is a flowering plant that originated in central and southern Mexico and Guatemala. It was grown by the Aztec in pre-Colombian times when, as a food crop, it was as important as maize. Chia seeds were considered highly nutritious and were renowned for their medicinal properties. The seed of the chia is dense with nutrients and is full of energy-boosting power. Aztec warriors and couriers would eat them as high energy fuel during battles or while running. Today chia seeds are grown for food in western South America, western Mexico, and the south-western USA. How nutritious are chia seeds? Chia seeds are rich in protein, dietary fibre, omega-3 fats, vitamins and minerals. As a diabetic you will note that on the positive side dried chia seeds contain oodles of protein (16.5%) and are well loaded with of fibre (34%) yet contain no cholesterol. But on the negative side they contain a lot of fat (31%). However, the major fats are linoleic acid (17-26% of total fat) and linolenic acid (50-57%), two essential fats that cannot be made in the body but must be obtain through food. Dried chia seeds are also 6% water by weight and contain no cholesterol. And they are a rich source of antioxidants. What are the health benefits of eating chia seeds? Research into the potential of chia seed to affect health is only beginning and so far this work has been sparse and inconclusive. Cardiovascular risks … In 2015, a systematic review of studies into the effects of consuming chia seeds on cardiovascular risk factors reported that most studies were of poor quality and did not demonstrate significant effects. However, according to the Cleveland Clinic, designated the fourth best hospital in the USA in the US News & World Report 2013-14, Chia seeds decrease blood pressure and c-reactive protein (a sign of inflammation) in type 2 diabetics. The Clinic also states that they may lower total, LDL, and triglyceride cholesterol, and raise HDL (good) cholesterol. Though the Clinic admits further studies are required to better define the cardiovascular benefits, in its opinion chia seeds are a safe and effective treatment for cardiovascular risk factors. Digestion … over one-third of a chia seed consists of dietary fibre, which regulates bowel movements. In addition dried chia seeds absorb 10 to 12 times their weight in water, forming a gelatine-like substance in your stomach. Common sense suggests that this makes you feel full quicker as the seeds expand as soon as they hit your stomach, curbing your appetite and thus contributing to weight loss (good for diabetics). This has been confirmed by several studies. The gelatine-like substance also slows the digestive process down and helps keep blood sugar levels stable, another plus for diabetics. Antioxidants … a study published in 2014 by Mexican researchers, available from the US National Library of Medicines, shows that the antioxidant activity of chia seeds inhibits nearly 70% of harmful free radicals. This makes these seeds one of nature’s best high-antioxidant foods. Many experts believe that the damage caused by free radicals is a factor in the development of atherosclerosis, accelerated aging, damaged or mutated cells, tissue break-downs, the activation of harmful genes within DNA, and an overloaded immune system. Perhaps chia seeds can help prevent cancers and rebuild damaged skin. Cancers … chia seeds are rich in alphalipoic acid, an omega-3 fatty acid. A study published in the Journal of Molecular Biochemistry in 2013 found that ALA limited the growth of cancer cells in both breast and cervical cancers. The researchers also found that ALA caused the death of the cancer cells without harming normal healthy cells. More research is needed to find out whether ALA can be used to treat other types of cancer. Energy levels … as the ancient Aztecs were well aware, chia seeds improve stamina and endurance. This is borne out by recent research. A study published in the Journal of Strength and Conditioning in 2011 reported that chia seeds boost the performance of workouts that last 90 minutes or more to the same extent as sports drinks but without the risks associated with ingesting large amounts of sugar. Zinc … 100g of chia seeds delivers nearly 50% of your recommended daily allowance of zinc. Zinc helps your body increase leptin, a key hormone that regulates your appetite and energy levels, which may explain why it boosts energy levels. In your mouth, the copious amounts of zinc in chia seeds prevent tartar by stopping plaque mineralising onto your teeth. It also has an antibacterial effect that keeps the germs that cause bad breath away. Metabolism … adding a tablespoon a day of chia seeds to your diet can help boost your metabolism. It can also help burn the fat around your belly which affects your metabolism. Belly fat is the form of obesity that is most associated with diabetes. Bone health …. 100 gram of chia seeds contains almost two-thirds of the recommended daily amount of calcium. Calcium is fundamental to the health of your bones. Chia seeds also contain boron, another essential nutrient for bone health that helps metabolise calcium, magnesium, manganese and phosphorus all of which are needed for the healthy growth of bones and muscles. Protein … 100g of chia seeds provides 16.54g of protein, ie it is 16.5% protein. This is tops for a plant-based protein, making it a great choice for those trying to put on lean muscle, burn fat and balance blood sugar levels, another plus for diabetics. But can chia seeds actually beat diabetes? They have been shown to do so in rats. α-Linolenic acid (ALA) is a form of omega-3. It is one of two essential fatty acids (the other being linoleic acid), so called because they are necessary for health and cannot be produced within the human body. They must be acquired through diet. ALA is found in seeds such as chia, flaxseed, hemp, nuts (notably walnuts), and many common vegetable oils. Chia seeds are richly endowed with omega-3. In a study published in 2008 in the British Journal of Nutrition, researchers in the Biochemistry Department of the University of Litoral in Santa Fe in Argentina described their investigation of the benefits of a dietary intake of chia seeds on insulin resistance and dyslipidaemia. Insulin resistance is the condition in which insulin is unable to attach itself to receptors on the surface of muscle cells and allow glucose from digested food to enter the cells and provide them with energy. It happens when the receptors are blocked with fat. Dyslipidaemia is excessive fat in the blood. This excess fat causes the blockages in the cell receptors. The investigation involved two parallel studies. In the first experiment, healthy Wistar rats ― purpose-bred albino laboratory rats developed in the Wistar Institute in 1906 ― were fed a sucrose-rich diet (SRD) in which chia seeds were the primary source of fats for three weeks. The researchers found that the levels of insulin and fat in the rat’s blood did not change at all even though their diet was 65% sugar, ie the chia seeds prevented the onset of insulin resistance and dyslipidaemia. In the second experiment, healthy rats were fed an SRD (without chia seeds) for three months until they had developed insulin resistance and dyslipidaemia. Then, for a further two months, the rats were fed the same diet except that the primary source of fat was changed to chia seeds. When the rats were tested at the end of the second two-month period, it was discovered that their insulin resistance and dyslipidaemia had been completely reversed. The researchers also discovered that the addition of chia seeds to the diet reduced visceral adipose tissue, otherwise known as belly fat. This type of fat is associated with increased risks of a number of health problems including type 2 diabetes. These two experiments show that chia seeds can reverse diabetes in rats. They were undertaken in 2008, yet 10 years later there are no reports of similar tests being done on human beings that I could find. Research has not found any evidence to date that eating chia seeds has adverse effects on or interactions with prescription drugs. Very few other side-effects are associated with chia seeds. However there has been some conflicting research about the effect of chia seeds on prostate cancer. A study published in the Journal of the National Cancer Institute in the USA in August 2013 reported that ALA could increase the risk of prostate cancer. These findings were based on a review of several large prospective studies (ie, studies that evaluate outcomes over a long period of time). This study was later shown to have been somewhat biased. However, according to an earlier meta-analysis of five very large prospective studies published in 2010, available from the US National Library of Medicines in the National Institutes of Health, ALA does not increase prostate cancer risk and actually decreases the risk slightly. Some people may experience discomfort in the stomach when consuming chia seeds, especially in large amounts. This is due to the high fibre content. As with any food, you should eat in moderation. You should always drink plenty of water with the seeds as they are very hygroscopic. According to the Cleveland Clinic chia seeds are quite safe as a source of food, except that they can interact with warfarin, a medication (blood thinner) taken to treat and prevent blood clots and prevent heart attacks and strokes. So, if you are on warfarin, you should not eat chia seeds or at least you must seek reliable medical advice before doing so. The Cleveland Clinic also states that patients on blood pressure medication should take chia seeds cautiously. Other than that it says that Chia seeds are quite safe, and are certainly worth trying for their beneficial effects. Chia seeds can hold 10 to 12 times their weight in water. Bearing this in mind, there are several ways you can eat them … whole, ground or soaked. Whole seeds … you do not have to grind chia seeds to access their nutrition as you must do with flax seeds. However, because they are so tiny they tend to stick in your teeth. They have a mild, nutty flavour and you can add them as a garnish to most dishes. Eating chia seeds whole, however, means that you may not be able to readily access the omega-3s for digestion and assimilation. But eating them whole does not cause you any harm. Ground seeds … you can grind chia seeds in a coffee grinder to break down their hard outer shell before eating them. Once ground, the seeds can be used in gluten-free recipes such as pancakes, muffins, breads and when making pasta. If you do grind chia seeds, remember that they are rich in omega-3 and, unless you are using them straight away, you should store them in a sealed glass container in your refrigerator or freezer. Soaking … if you soak chia seeds, you cause them to sprout. This is highly beneficial because it helps to get rid of the seeds’ anti-nutrients. Anti-nutrients are naturally occurring compounds found in plant seeds that interfere with our ability to digest vitamins and minerals within the plants. This interference is nature’s way of protecting the plants by warding off pests and insects. When a plant is eaten, the anti-nutrient makes the predator feel ill and it soon learns to steer clear of that particular type plant. Anti-nutrients also keep a seed from sprouting until it’s ripe enough and ready to mature. 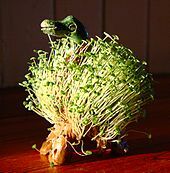 Sprouting has two great benefits … it makes the seeds much easier to digest, after which your body can access the dense nutrients inside the seeds. This means that soaking before adding the seeds to a recipe or smoothie is a great idea as it allows you to get as much nutrition as possible from them. How to soak chia seeds … all you have to do is to mix them in water in a ratio of 1:10 (chia:water), ie about 1.5 tablespoons to a cup of water. Then leave the mix to soak for at least half-an-hour, up to two hours. When mixed with water chia seeds become mucilaginous, ie gooey. If you use too much water they will be too watery. Chia seeds can hold up to 12 times their weight in water, excellent for preventing dehydration. But if you don’t soak them, they will absorb water during digestion. Make sure you drink plenty of water for the rest of the day to keep yourself hydrated. Because they absorb so much water, chia seeds are sometimes used by bakers to keep baked goods moist. You can mix the seeds or ground flour into foods such as muffins, or sprinkle chia on yogurt or salad. Chia seeds may be added to other foods as a topping or put into smoothies, breakfast cereals, energy bars, granola bars, yogurt, tortillas, and bread. Since 2009, the European Union has allowed chia seeds to make up 5% of a bread product’s total matter. The seeds may also be made into a gelatine-like substance or eaten raw. The gel from ground seeds may be used to replace as much as 25% of the egg and oil content in cakes, also providing other nutrients. 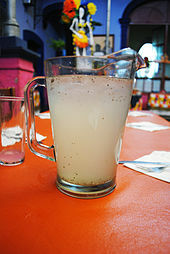 In Iran chia seed is used to prepare a cold beverage called sharbat. How much chia seeds should you eat a day? According to the Cleveland Clinic, 15 grams (about two tablespoons) a day will deliver 3000mg of omega-3 fatty acids and 5 grams of fibre. But one tablespoon a day would be enough for children between the ages of 4.5 and 18.